Dr. Dobson is a leading Orthopaedic Surgeon, a Fellow of the Royal College of Physicians and Surgeons of Canada, and is Board Certified with the American Board of Orthopaedic Surgeons. Dr. Dobson obtained his Fellowship in Sports Medicine in Ottawa and provided orthopaedic expertise to the Ottawa Roughriders, the University of Ottawa, and Carlton Varsity teams. 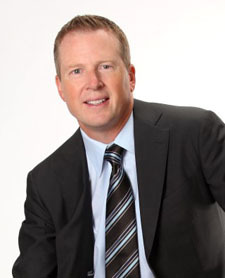 Over the past 15 years Dr. Dobson has treated elite local, national and international athletes. He is currently affiliated with the Peterborough Petes Junior “A” hockey team.